A young man with a horn. Me at age 26 with the 1983 Manhattan skyline and World Trade Center twin-towers in the background; a young saxophonist from Pittsburgh in NYC having the time of his life! 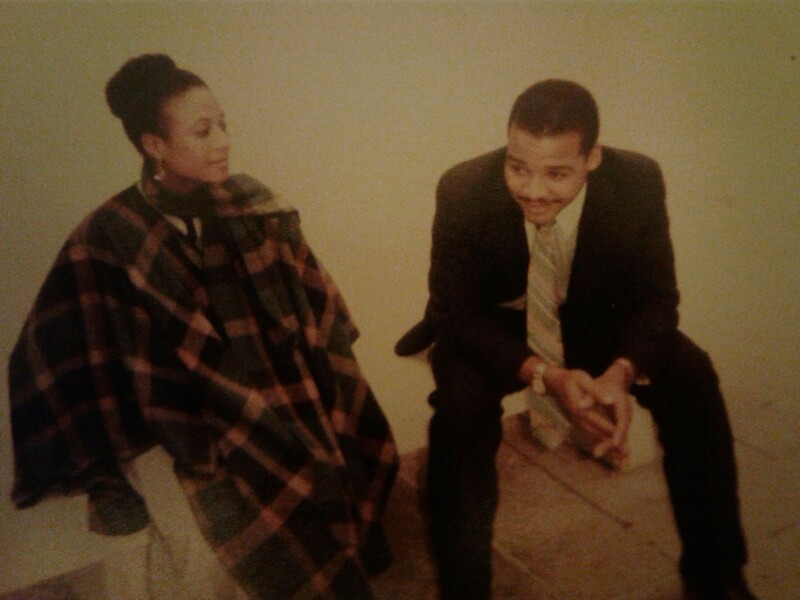 This was the actual photo taken to be an LP cover for my very first recording: "Scene From A Dream" featuring at the time, the completely unknown and future jazz legend, Geri Allen. Big thanks to my friend vocalist Dee Watkins for recovering this long lost photo taken by Glenn Saffo for the LP release. This session features the late, Geri Allen on piano (still can't wrap my mind around the fact she is no longer among us), Michael Logan-bass, Gregory Bufford-drums and Robert "Bop" White-percussion. The recent loss of my dear friend and former roommate back in the day, Ms. Geri Allen, has finally given me the impetus to get going on this project and get it done. It's been delayed too long and of course, and with Geri's presence, it's great stuff! Big thanks to engineer-extraordinaire, Bob Wayne of Sunburst Archiving and Restoration and Len Horowitz of HRS (Historical Recording Studios) who restored, remastered and transferred all the original analog audio to digital. Hard to believe this was all 35 years ago . . . ! When I look at that photo, I vividly remember the heady emotions of the time. We had already recorded the session and knew we had something very special. Through Geri promoting and talking about it, it seemed like everybody in the NYC jazz community at that time knew about it. Remember, Geri had yet to record her first recording which was not until the following year 1984 when she recorded "Printmakers". Also through both Geri and my efforts, selected cassette tapes of it were already circulating throughout the closely-knit jazz community in NYC. Responses and feedback were exhilaratingly positive. George Butler, vice-president of Columbia Records had recently signed young Wynton Marsalis, heard the tape and expressed his interest and asked where could he hear the band! Everybody wanted to know who we were and especially who was that pianist! I remember such a feeling that anything was possible and that the sky was truly the limit. I remember feeling so gratified because all this happened because I overcame my own self-doubts and found the courage to take the initiative, and made it possible. This was a big deal to me at the time. It was the biggest thing I'd ever done musically up to that point in time, because I, to borrow a phrase from Sonny Rollins, "was full of question marks" at age 26, as well as suffering from severe shyness and lack of confidence in my abilities as a jazz artist. It was a heavy psychosis. Also being in NYC in 1983 was challenging enough being around and hanging out with all the great musicians on my instrument. At that time, few if any young black New York jazz artists were financing and producing their own recording session. But with the encouragement of my sister and roommate, Geri Allen who pushed me as well as the rest of the members of the band who were my friends and family, we produced this amazing piece of work, that we all felt was a most profound statement of who we all were, as young artists at that point in time, and felt it would stand the test of time. I'm sure we didn't realize how prophetic we were as it took 35 years to finally be released and our music finally sees the light of day. I first met Geri Allen in November of 1978. I've long since realized meeting her was a great turning point in my life. I've always told Geri, that she single-handedly saved my music career for at that point, I had comfortably made the decision to quit music and hadn't touched my horn in about 4 months by the time we met. In the spring of 1978, I had saved up some money and struck out for NYC to try to make the transition to living there. After four or five weeks of endless job interviews, not picking up any gigs, sleeping on friends' sofas and finally draining my money paying for a hotel room, I scurried back to Pittsburgh to my parent's house broke and dejected. 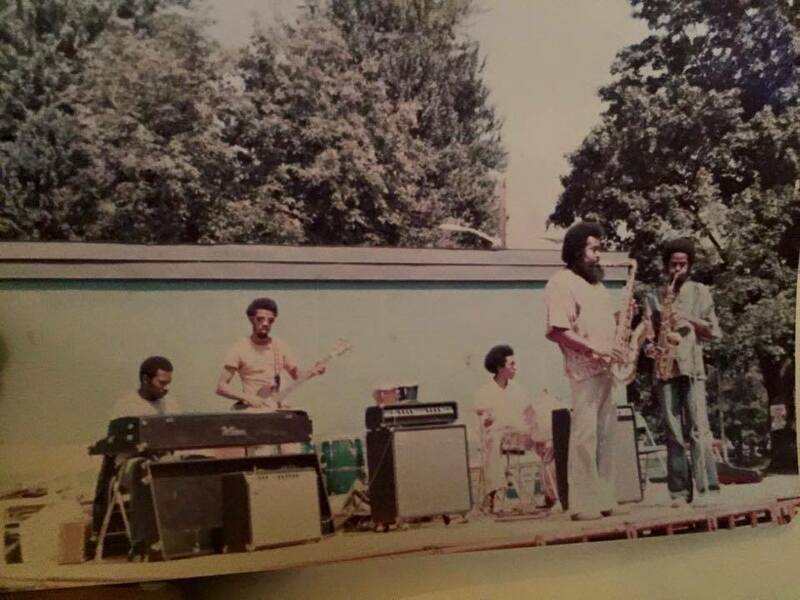 Since 1975 I had co-led a very successful quintet in Pittsburgh with my older brother, Guy Fielder and had seen the music business up close and personal. But after experiencing the back-stabbing, black-balling, and our band payments constantly being stiffed in favor of club-owners' drug habits, I made the decision that I didn't need this. It didn't help that finally meeting all the great jazz artists that I idolized first-hand, I found that the great majority of them were not really balanced nor kind people. I felt the jazz world I imagined when met with the reality of it, was definitely a child's fantasy. And now I'm back in my parent's house broke with no prospects! I went back to working in the steel mills and began making crazy dough for a 23-year-old. Soon, I felt no longer dejected about myself being a "failure" as a jazz artist and being able to buy my own car etc., made me immediately feel better about myself. My parents were relieved and I was even planning on buying my first house about the time I met Geri. One day in November I believe, my dear friend, the late, great trumpeter and composer Jothan Callins called me and begged me to come up to Pittsburgh to hear his band at the Portfolio club who had this incredible young sister on piano. In hindsight, I think Jothan knew what he was doing because I had been absent from the scene for over 4 months. So he probably knew I was depressed about music. I hadn't listened to jazz at all during those 4 months and had turned my heart cold to it. I really didn't want to hear it nor go, but I had a young lady I was crazy about at the time and it made a good excuse for taking her there for a night out. The Portfolio had a long window along the side of the street and as I walked around the corner I looked up into the window and saw this young lady putting together her Fender Rhodes piano. She looked up at me and we just stared at each other for a few moments until we both got a little embarrassed for staring at each other. I could feel the electricity coming from her. When we got in, Jothan very graciously introduced us to each other saying, "I want two great musicians to meet each other, for I know you two should be playing with one another!" My date and I sat down for the whole evening and Geri's playing just blew me away! For the first time in months, I felt excited about jazz music inspired by the way she played. She was a revelation! Afterwards, she spoke to me saying she's new in town, had heard about me and had this standing gig at a new club called The Pink Poodle. (No, I'm not making this up!) She said she needed a saxophone player for the gig and wasn't satisfied with the ones she was using. She said, "everybody keeps telling me I need to get you! Can you do the gig?" I leaped at the chance to play with this genius! I didn't have the heart to tell her I hadn't been playing and knew I had some serious shedding to do to get ready to play with her. But I did make the gig. I also rehearsed with her almost daily and learned all her tunes and have never looked back since. I had quit jazz, but Geri inspired me to go back! I've told her this story many times too. She always brushed it off saying, "Aww, you would've been back to playing. I didn't do nothing except give you a gig!" Geri and I became fast friends, talking and hanging out daily. When she went home for Christmas for a little over a month, she gave me the keys to her apartment to give me respite from my small hometown of Midland, PA (30 miles west of Pittsburgh) and to get out of my parent's house as well as to just be in the city. I continued to play gigs with her as well as resurrecting the Fielder Brothers' Quintet, this time with Geri in the piano chair and resumed doing festivals and clubs. We did a club called The Black Magic Lounge in the Hill District where the local FM station WYEP-FM ran a live wire to the club for our gigs on Saturday nights. We also performed at the legendary Pittsburgh club, Crawford Grill as well many other gigs. One day in December 1979, New York-based tenor saxophonist Dwayne Armstrong came to visit Geri and befriended me as well. He had worked with Elvin Jones and just came off a European tour with Max Roach. He said to me, "I hear you want to come to New York and if you do, I have a gig for you! It's with The Mighty Sparrow! He tours all over the country! Do you know Steve Coleman?" I answered, "No, never heard of him." He looked at me questioningly as if I should know who he was and continued, "Well, he's left the band and we need an alto player!" The Mighty Sparrow was the legendary Calypso singer and I had never heard of him. Doubtful, I asked him what kind of gigs they were and he said, "Well, the first gig is at Madison Square Garden!" That did it for me! Rehearsals started in late March 1980 and the Madison Square Garden show was on April 26, 1980. After that, we were headed to Boston, Montreal, Toronto! Finally, after fighting and waiting for 2 weeks to get the bread from the last Black Magic weekend gig, on March 16, 1980, I arrived in NYC at the brownstone of guitarist Eric Johnson with $20.00 left in my pocket! In 1982, after Geri received her Master's degree from Pitt, she came to NYC and contacted me. She told me she had acquired this huge 2 bedroom apartment in Brooklyn with a large front studio that she put her grand piano in, and that we should be roommates! My brother with his wife and daughter had moved in with me, so I thought it was good timing and gave them my apartment. I roomed with Geri for over four years! That apartment quickly became a hotbed for young jazz artists in New York at that time. A who's who of some of the most important jazz musicians of our time came through there and played or rehearsed in our studio. It was in this studio on Geri's piano, where I began composing the compositions for this album. Geri used to encourage me to step out more. As I said, I was a 'wallflower supreme'! Her only complaint about me was that I was 'too nice', too laid back and should assert myself more. She even wrote a tune to help to remind me of this entitled, "No More Mr. Nice Guy", which she later recorded with Charlie Haden and Paul Motion as well as solo. As I mentioned, in those days I was severely shy and unconfident. I realized doing an album would be a good way to break out of it and get out there and let folks know what I'm capable of. Around this time, my brother's wife started working for a Bulgarian lady by the name of Svetlana Gilbertz. Svetlana was the niece of a high government official of the People's Republic of Bulgaria and was sent to the US to promote trade. Svetlana was looking for projects to invest in and my sister-in-law told her about me and my aspirations and Svetlana provided the financing for recording the LP and setting up my record label, Clarion Jazz! She called me over and listened to my presentation, noting that I was setting up the business through Address America, which provided a Wall Street mailing address, phone number, answering service and telex number. All she asked in return for the financing is the use of the telex number from time to time. And use it she did! Remember this was BEFORE the internet: a telex is a network of teleprinters similar to a telephone network, for the purposes of sending text-based messages, sort of like your own personal telegram system. That's how you did business in 1982! In fact, Address America would call me to complain about how frequently she was using it for international calls and because of that, please pony up more cash, Mr. Fielder! I could have been a means of laundering her money or something, but I didn't ask why or what. I was too busy looking at the wad of greenbacks she laid on me and dreaming and thinking about booking the recording session! 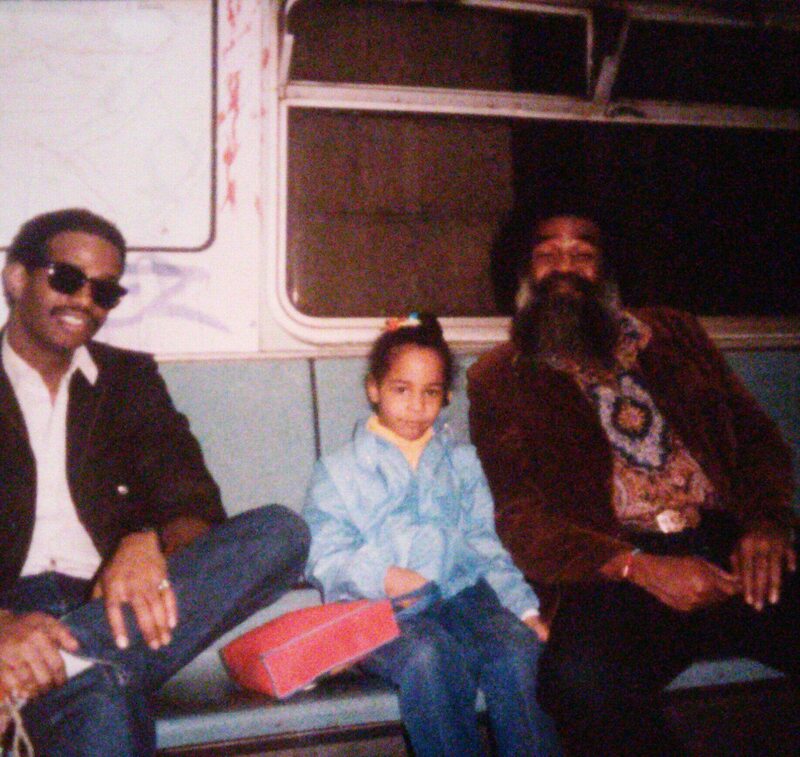 Dale Fielder, niece Ronnie Fielder and brother Guy Fielder riding the A-Train NYC circa 1982. Photo by Robert White. I decided to record at the famous Sound Heights Recording Studio in Brooklyn Heights which at the time was state of the art. The quality of these tracks testifies to that being a great decision, for they have held up well for 35 years. They still sound fresh. At that time, in the early 1980s, a lot of great jazz recordings were being done there. In particular, Black Saint Records, an Italian-based jazz label was very hot at the time and exclusively recorded their US sessions there. 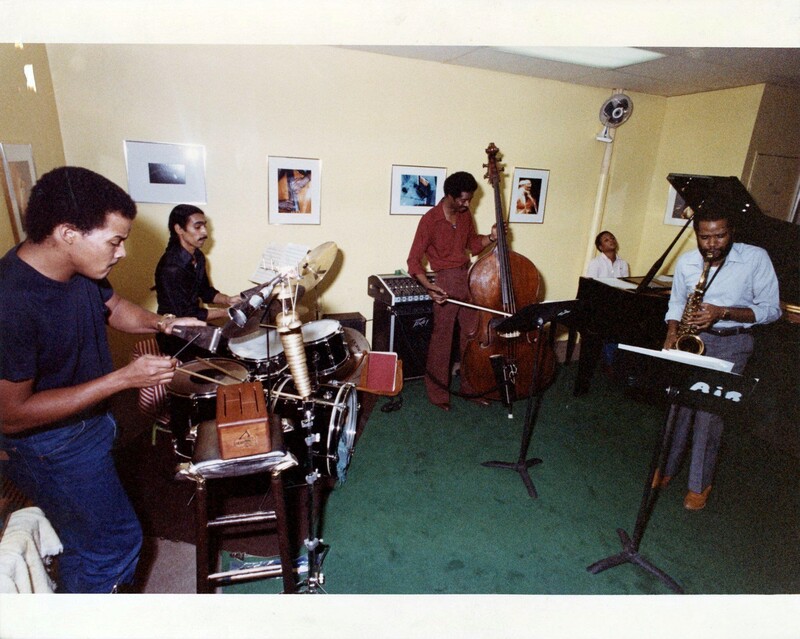 I was impressed by their latest Oliver Lake LP, "The Prophet", which was Oliver's dedication to the music of Eric Dolphy recorded at Sound Heights. I liked the sound which to my ears sounded 'live in the studio', -very natural and organic. Like they just ran the tapes and let the musicians play and be captured by state of the art recording equipment. This style of recording is what I call "studio/live" recording format, and was championed by the great Alfred Lion and Francis Wolff of Blue Note Records. It has proven so successful for recording an improvisatory music like jazz. This has always been my preference for recording. I agree with Sonny Rollins, who says the only true authentic jazz performance is the in-the-moment live performance as opposed to planned and structured studio recording performances with multiple takes and multi-tracking. To my mind, if recording in the studio, it is better to record 'as if performing live.’ No multiple takes where IMHO, the performance degrades with each subsequent take. I'm also of the opinion that the first take is usually the best if the musicians are focused. And they are usually focused if playing in a live performance situation. This was my plan for the LP. And yes, it was strictly planned to be recorded in an LP format, as vinyl LPs were still the main recording medium in 1982, followed by cassettes and to a lesser extent CDs. CDs were still a new format and hadn’t yet become the dominant format in 1982. For a studio/live recording to be successful, with the goal of capturing it all in one take, the musicians must be well-rehearsed and extremely familiar with the material. That meant I would have to start rehearsals and do as many as required until I felt we were all comfortable with the music. Also, when I was finished composing my originals for the session, I thought it would be a good idea to ask Geri, Mike and Greg each to contribute a tune since they each were fine composers in their own right, Geri being an exceptional composer. That way they would feel more invested in the project and that it would be a true collaboration among equals and they were not merely sidemen. So we started holding rehearsals at our place on 60 New York Avenue in the Bed-Stuy district of Brooklyn. The initial rehearsals were very targeted and focused and we quickly nailed down my 3 tunes and the 2 tunes penned by Mike and Greg. That just left the complex original of Geri's to work on. More about that in the "The Music" section of this website. So that was the plan for all of the material we would record. I had never done a recording session in a major professional studio, and since I had the funds, I thought it would be a good idea to have a final rehearsal somewhere to spread out and play everything the way we will do it in the studio, since we were going to record in the studio/live format as I mentioned. So I scheduled a final rehearsal at the famous Air Studios in the Village. Air was named after the owners, the legendary AACM free jazz trio, “Air" featuring the great Henry Threadgill, Fred Hopkins, and Steve McCall. Geri had already befriended them and they were all aware that she was destined for great things. Geri and I hung out with the members of Air, Lester Bowie, Warren Smith, Craig Harris, Jean-Paul Bourelly and others a few days prior to the rehearsal when I went down to book and pay for the studio. Everybody was buzzing about Geri, especially when she sat down and played the studio's piano. That girl was absolute magic at the piano! So there was great interest in my upcoming rehearsal session which was scheduled a few days later. So a lot of 'the cats' were hanging out when we showed up for the final rehearsal and were listening, impressed with what we were laying down. I remember receiving kind words from Henry Threadgill regarding my playing. Henry is one of our great composers and conceptionalists. In 2016, Henry won a Pulitzer Prize for music. So these guys were founding members of the great AACM (Association for the Advancement of Creative Music) and are innovators associated with free jazz and the avant-garde. Henry was impressed with me because like Geri, I was really all in with free jazz, but played straight-ahead jazz well and incorporated both in my playing. So on February 23, 1982, we all arrived at Sound Heights recording studio in downtown Brooklyn for the session. Joining the four of us, was my nephew Rob "Bop" White, whom I always call my nephew/brother. Even though Bop and I were uncle and nephew, we were only six months apart in age and grew up like brothers being that we lived only twelve miles from each other back in western Pennsylvania. He is a percussionist and has grown into now being one of the most sought-after, first-call conguero and percussionist in the Washington DC/Baltimore area. Bop is very immersed and informed in the Cuban percussion tradition and traveled up from Baltimore to do the session with us. Perhaps my closest friend at the time was our drummer Greg Bufford. A protege of the drum master Philly Joe Jones, whom he also studied with, Greg worked with visionary saxophonist Frank Wright, Randy Weston, Dionne Warwick, Dee Dee Bridgewater, Della Reese and Sonny Stitt. Greg and I often jokingly shared a belief that there should be no time that money is not coming in, or else we'd find ourselves in Jersey City looking over at NYC! So we were always hustling putting numerous bands together for all types of various gigs. When there weren't any gigs to play, Greg came up with the idea of starting "Good To Go Moving Van Service". He restored an old truck and we would go all over Manhattan moving people. It always kept dollars in our pockets! My last months in NYC were spent staying in Greg's Brooklyn brownstone as he renovated it. I earned my keep by babysitting his two beautiful daughters. 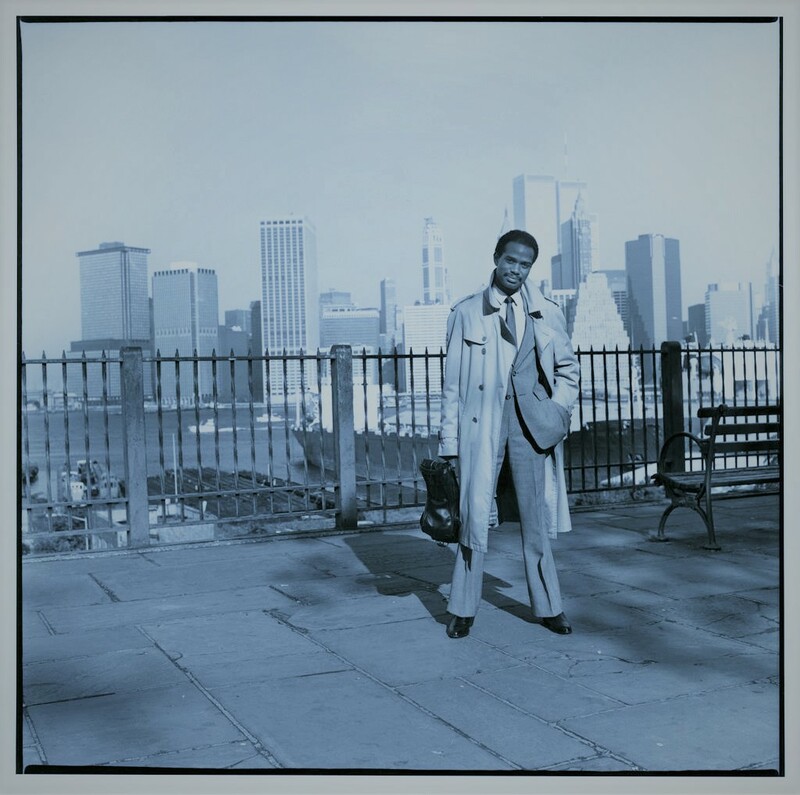 Our bassist Michael Logan came to NYC from Chicago where he worked with the now late Muhal Richard Abrams and performed and recorded with his orchestra. 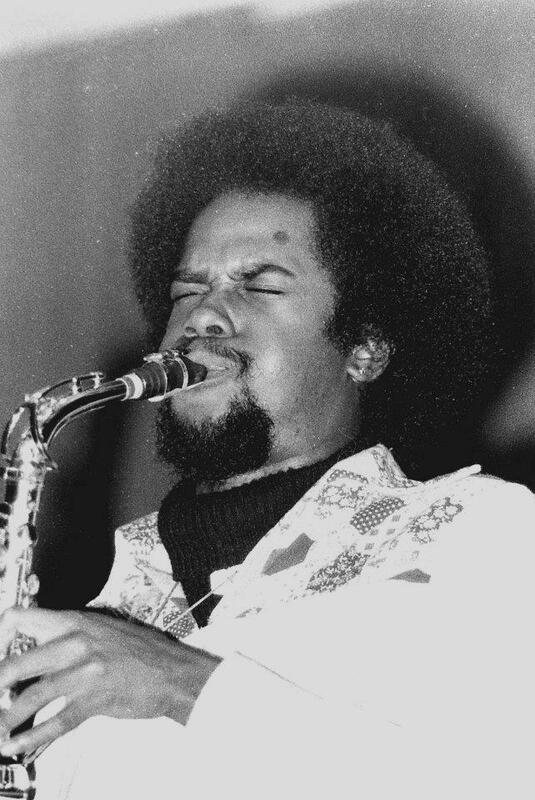 He also worked with Walter Bishop Jr. and Clifford Jordan, whom he was very close to. Mike and I met as members of trombonist Artie Simmons' Jazz Samaritans with whom we also recorded with back in 1981. That actually was my very first recording and I even contributed an original entitled "Visage". Mike was always my first bassist of choice during my years in New York. He is a brilliant guy who is very easy to work and get along with. 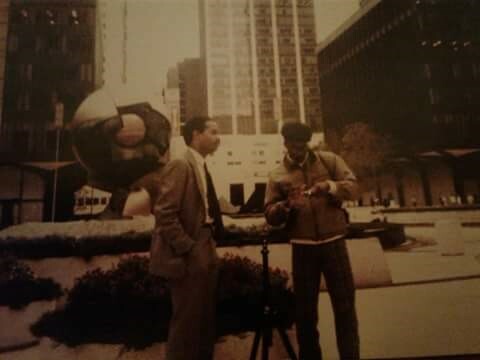 Dale Fielder with photographer Glen Saffo outside of the World Trade Center in NYC for the official album photoshoot February 1983. Photo by Robert White. The other person involved in the creation of the project was Glenn Saffo, our photographer. Saffo, as we called him was a close friend of Geri's. He was the boyfriend of Geri's close friend Kabuya, from whom Geri inherited our apartment from when Kabuya moved to Florida if my memory serves me correctly. Saffo took that wonderful cover shot. He came up with the idea, and he and I went to the Brooklyn Promenade to take that photo with the Manhattan skyline in the background. He also came to the Air rehearsal and took those color photos and many others shots. After the recording session, he had us all meet at the World Trade Center in our best attire for the official album photo shoot. I can't remember if he came to the actual recording date at Sound Heights or not. I'm a little foggy about that, but I think he may have. It pains me that I lost all of those photos after I left NYC in 1988 and the ones that survived and included here were salvaged by my friend Dee Watkins, who inherited our apartment after Geri left and found them. The other shots were taken by Rob White. I am grateful for that.